A classic car can be a very sensible way to invest your money these days and, for many people, a Jaguar E-Type is the obvious, go to choice. 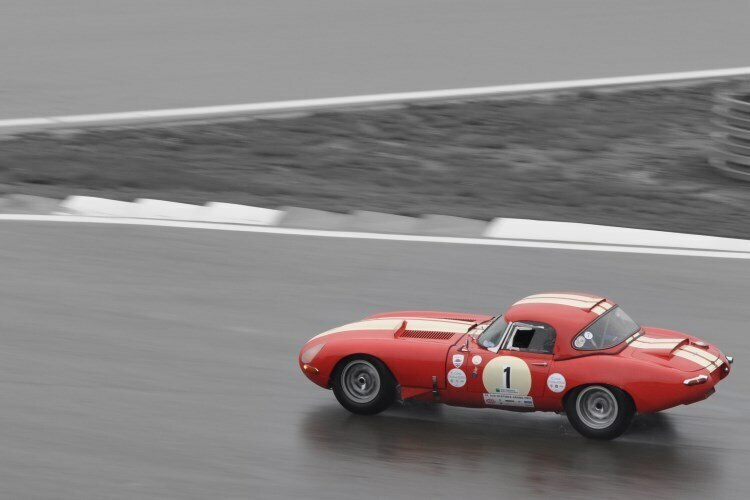 However, the E-Type is a complex machine and any purchase should not be undertaken lightly. Do your research, consider enlisting expert help if you have any doubts and don't jump at the first one you see. This is the biggest and most important consideration when looking at an E-Type. Preventing rust was not a priority at the time the E-Type came in to being. If you're lucky, you'll find an example treated with Waxoyl or put up every winter, but otherwise, the E-Type's tub can be a murky, frightening and very expensive place. The E-Type regularly displays rust pretty much anywhere, but pay particularly close attention to the sills, the wheel arches, boot and interior floors, footwells, battery housing and bottoms of doors. It's not all obvious either - any apparently minor visible rot could be hiding a mountain of misery that you can't see. It's not all bad news - aside from the pesky rust issue, the E-Type benefits from a laid back engine and tough gearbox with robust mechanics that have rarely been pushed to the limit. If you encounter a timing chain rattle, blue tinged smoke or the oil pressure is low, steer clear unless you're happy to rebuild or replace the engine. Even so, this is not as arduous or expensive a task as it might sound, as parts are relatively cheap and readily available. Despite some reports to the contrary the E-Type, properly cared for, is a reliable machine. Neglect one and it will punish you, but treat it with the respect it deserves and you shouldn't have many problems. Weak spots can include fuel pumps and ignition, both of which are usually better replaced by modern versions. Dodgy alternators are best avoided via a conversion kit and overheating can be solved with the installation of electric fans and an aluminium radiator. If you are interested in an E-Type, don't hang around. They've never been a budget choice but prices shot up after the car's 50th anniversary in 2011 and are still rising. At the moment they are still, just about, affordable - if you go for an SII 2+2. The more desirable S1 FHC and convertible models need deeper pockets but can be bought cheaper in the US, if you're brave enough to take the plunge with a LHD or a conversion - either is easier than bringing a completely rotten British example back to life.